If you haven’t noticed from the yellow dust all over your car and amorous song birds, spring is in the air. 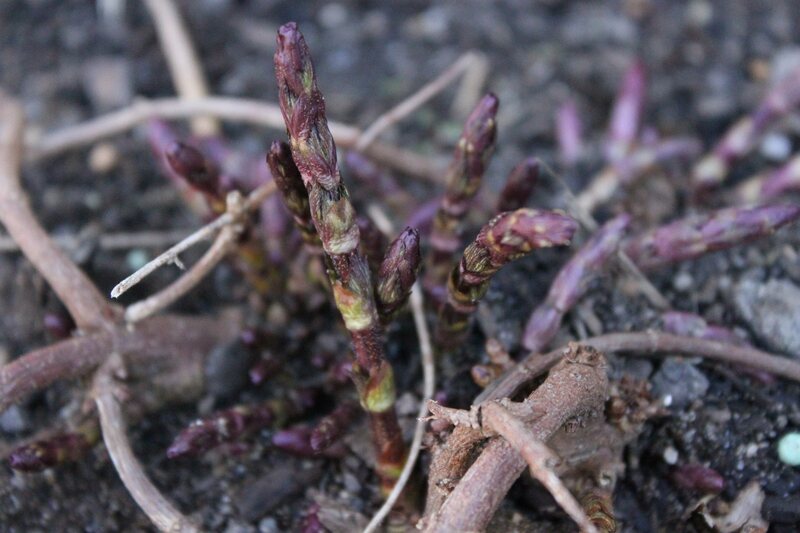 This means that hop plants that have been hiding underground all winter are now sprouting fresh shoots and growing new bines. In a few months their bright green flowers will be harvested so that their aromatic oils can give beer its wonderful array of aromas and flavors. But you probably knew that already. What most people don’t know is that you can actually enjoy the delicious hop shoots in the spring, but only for a limited time. 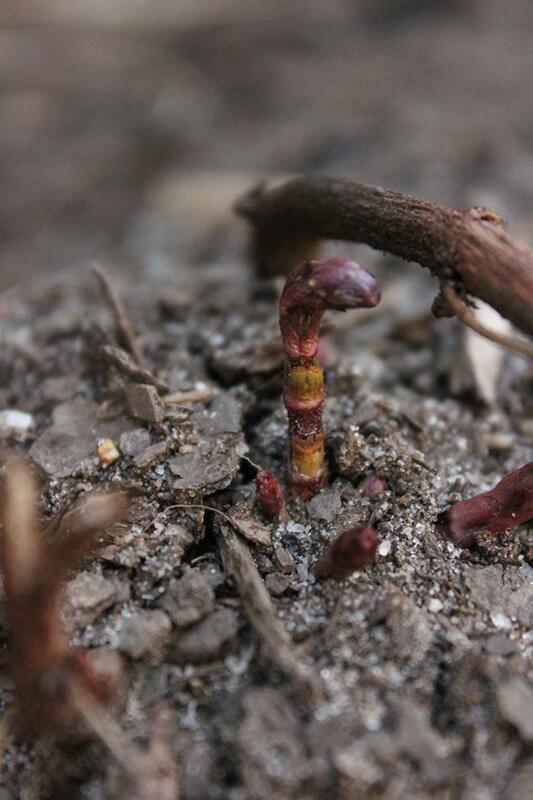 The shoots are the young sprouts that come off the hop rhizome (a gnarled root looking thing). They’re what will eventually turn into a bine that winds its way up whatever it can find. When hop shoots are young they are crisp but soft, and they are considered a delicacy in many parts of Europe. The best shoots for a raw snack are the ones still covered by mulch or old leaves. These are the ones that haven’t found the sun yet so they haven’t begun to harden on the outside or try to sprout leaves. You’ll know them when you find them because they’ll look like small white and red asparagus. The green ones that are getting ready to sprout leaves are typically better for cooking, or adding to a salad, and look more like a green leafy asparagus. In fact hop shoots are often called poor man’s asparagus, which is odd because hop shoots sell for about $128 per pound while asparagus averages about $3.50 per pound. In Belgium, a single kilogram (about two pounds) of hop shoots can sell for nearly $1400, making them the most expensive vegetable in the world! When growing hops you only want 2-3 bines growing per plant. This means you need to trim away all of the extra shoots so that the plant will focus its energy into those few bines rather than the several dozen that it would try to grow on its own. If you do this at the right time you can have plenty of shoots to snack on. I’ve found that the shoots are excellent with a little butter, garlic, salt, and pepper. After washing the shoots simply melt some better in a skillet or sauté pan over medium-high heat. Add some fresh crushed garlic, along with the hop shoots, and sauté for 2-3 minutes. Add some salt and freshly ground pepper just before your remove them from the pan. 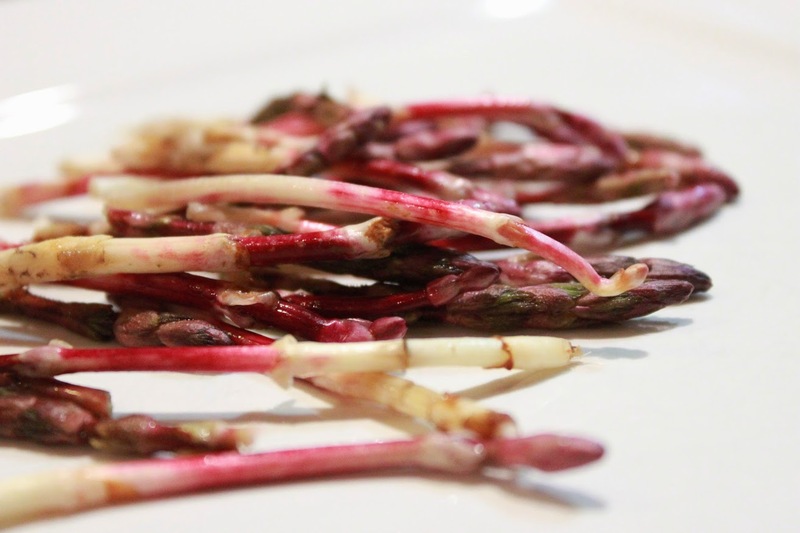 Hop shoots are also excellent pickled, and I’ve even seen recipes for soup, and a frittata. However, I prefer them sautéed as a side dish to a larger meal. Previous Flying Dog and Factors Row Teamed Up Again and it was Awesome!